For over 30 years, Able-One Systems has been helping businesses of all shapes and sizes focus on their core business as their trusted and strategic information technology partner. From a beginning of primarily serving businesses in their technology procurement, implementation and repair needs, they have evolved into a much more holistic and strategic IT partner. Able-One takes care of all information technology requirements which includes infrastructure solutions, managed and cloud services, and cyber security – what Mark Ciprietti, President of Able-One, says is “in today’s technology landscape is a top priority for all of our clients, small or large.” However, ensuring your business is protected from cyber security threats is not all that Able-One is about. Companies with 10 to 250 users are typically the ones that would benefit from Able One’s Managed Services. What they offer their clients is a fully outsourced IT department, including a Virtual CIO – or Chief Information Officer. For some firms to hire a full time IT manager it could cost up to $100K, and those hires would not necessarily be available 24/7. Able-One is. And they do this on a predictable per user basis, providing you access to skills and tools that are out of reach of the average SMB. Many of their employees have a broad range of technical skills while others specialize deeply in a few core competencies. Clients of Able-One can then draw on this wide and deep skill base for all of their technology needs. And never be left waiting – 24/7/365. Some of the services that Able-One provides its clients are implementing, integrating, and optimizing technology into current infrastructure environments, back-up and disaster recovery of business applications, and monitoring and management of IT networks. Essentially, they do all the tech stuff so you do not have to. Their work, however, is not reactionary but proactive in monitoring for alerts, applying patches and updates before issues occur, and ensuring their work is seamless and transparent to their clients. In addition, Able-One is always staying ahead of the technology curve through their ‘Solutions Division’, which helps companies reach their potential via artificial intelligence, data analytics, process digitization, and other innovative solutions and disruptive technologies. In the community, they believe in reaching out to causes that support the direct needs of their team members. If an individual or family member from Able-One is in need of local services, the company steps up. Their annual golf tournament, BBQ fundraisers or other initiatives they support local charities and thereby their community. Through these initiatives they’ve helped organizations such as Big Brothers Big Sisters of Waterloo Region, KidsAbility, Thyroid Cancer Canada, and many more. 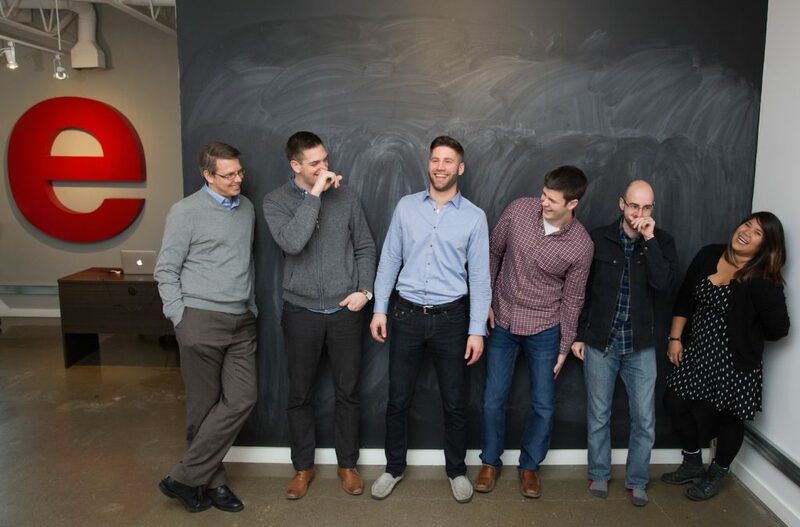 They believe that giving back makes a company and their team stronger. If you need to focus on your core business to achieve the goals and growth you strive for, why not allow a team of experts design, implement, and manage your optimized IT environment? Contact Able-One today at (519) 570-9100 ext. 7332, or via email at mark.ciprietti@ableone.com. They are happy to help! Miller Thomson LLP, founded in Toronto in 1957, is a national law firm with twelve offices and over 550 lawyers from Vancouver to Montréal. They pride themselves on being mid-market by Toronto standards and their innovative and client-focused service model, creating pods of area experts with national reach. This allows the firm to offer a wide range of legal services tailored to local needs, and trade on those areas of expertise from office to office. For example, in Kitchener/Waterloo, the areas of expertise are issues related to high tech and insurance – which makes sense, considering the concentration of those types of businesses locally. But if a local business was involved in an agribusiness deal in Saskatchewan, for example, local Miller Thomson lawyers could draw on the resources of the Saskatoon or Regina offices. Clients can come into the local Miller Thomson offices in the Accelerator Centre on Hagey Boulevard, and be in contact, via video, with their specialized representative in any of the other 11 Miller Thomson offices nation-wide. “We are, I believe, probably the only national firm that has presence at the breadth and the depth that we do in the smaller markets,” says Office Managing Partner, Steve Lubczuk. So integrated are the offices that when a client calls the local office and asks for their lawyer – who may be in Guelph or Edmonton, they are patched through as if he or she were just down the hall. Miller Thomson lawyers also work within national practice groups providing comprehensive coverage in the areas of business law, tax, litigation and dispute resolution, labour and regulatory law and real estate. With these groups, or silos, if an area of expertise is not available locally then it can be sourced from within the group. Also, if your legal matter involves two or more of these areas of expertise, you have those groups and their collective wisdom to draw upon. This saves not only time, but in the long run money as well. Another benefit is that if your budget is limited you can deal with junior litigators and still have access to the expertise of more senior lawyers. Part of their success, and growth, has come from lawyers from smaller local firms moving to Miller Thomson and bringing with them their clients. This benefits not only the new lawyers joining by giving them the resources of a national platform, but also their clients who now have access to the firm’s broad expertise. Lubczuk, himself, joined the firm ten years ago, having practiced in a two-person firm for the previous 25 years. Smaller, local firms, knowing that former independent or small office lawyers are part of the larger Miller Thomson organization, often call upon Steve and his associates for advice and expertise on matters that the smaller firms might not have access to. By joining Miller Thomson, they gain instant access to this wealth of information and connection. Miller Thomson and its employees are deeply involved in the local community – both as direct sponsors of events and charitable contributors. They are involved in Communitech, not only because of their close proximity to it and the financial benefit of dealing with them, but also “because it is the future, and it helps, on another level, that you attract younger lawyers that are interested in that particular area of law,” says Lubczuk. In addition, the firm supports St Mary’s and Grand River Hospital Foundations, Kidsability, KW Habilitation, among others. Miller Thomson has also contributed to specific causes such as the Canadian Red Cross disaster relief efforts following the 2010 earthquake in Haiti and Hockey Sticks for Humboldt. They have been recognized for the quality of their lawyers – five lawyers honoured recently in the Canadian Legal Lexpert Directory and nine KW lawyers honoured in the Best Lawyers in Canada directory. They have been nominated many times for the KW Record Readers’ Choice Award and won often. If you’re a business needing help in any capacity with corporate law, contact the local firm with national reach, Miller Thomson. They can be reached at (519) 579-3660, toll free at (866) 658-0091 or via email at waterloo@millerthomson.com. What once was the site of Budd Automotive at Homer Watson and Bleams will now begin to transform into a wondrous new series of buildings and facilities unlike anything seen in this part of Kitchener before. Over 200 thousand acres will see industrial and high tech manufacturing. 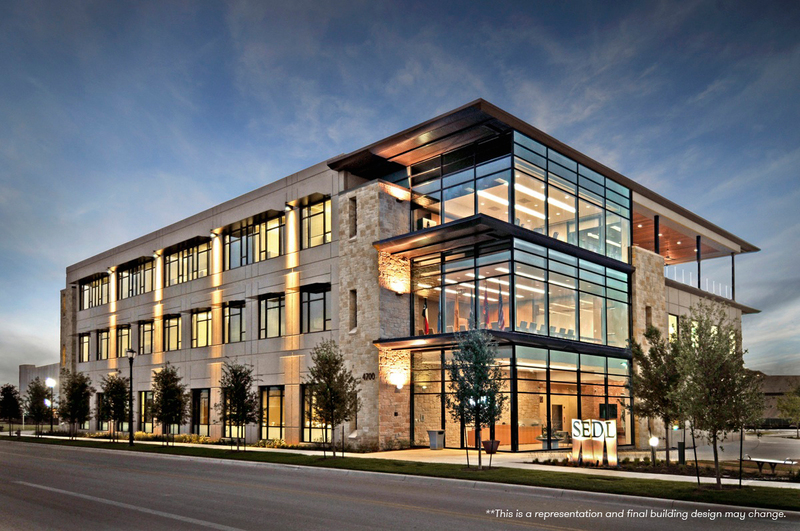 Phase One of the project will lead the way up to 65 thousand square feet of medical and professional offices with ground floor commercial zoning on 3.8 acres. Scheduled to be completed by the summer of 2018, the energy efficient building will contain a common area Board Room that can be individually booked for events and meetings. In addition to plenty of parking, it’s readily accesible to Kitchener, Cambridge, and Waterloo via the 401 and the Conestoga Parkway. a new approach to dementia care comes to the region! Anyone who has a friend or relative with Alzheimer’s disease or a related dementia knows the challenges faced when memory steadily slips away. It’s a devastating disease that requires patience, special care, and above all, love to help the person affected have small, positive moments that add up to a good day. The first thing you’ll notice is the building itself. It’s nothing like the usual care facilities. Instead, each House is designed with an “H” configuration inside which is comprised of two cottages with shared amenities at the centre core. Each cottage is home to 13 residents who have a private bedroom with a 3-piece bathroom including a walk-in shower. These cottages contain a common dining area, living room, and family room as well as the residents’ bedrooms. Outside, there is a beautifully landscaped, secure, walking garden where residents can safely enjoy the outdoors. In fact, employees are hired as much for their heart as for their experience and skills. It’s all part of the Highview Residences approach that uses dementia specific activation and Montessori methods (failure-free programming) with a focus on activities of daily living. Recognizing that no two residents are the same, activation is intentional in its design and helps bring back hardwired memories. From working with dementia-specific games and puzzles to crafts, music, and family dinners, Highview Residences’ approach to the care and safety of those with Alzheimer’s disease and related dementias is a breath of fresh air and a positive, compassionate experience. The first house of the new Highview Residences in Kitchener Waterloo opens in October 2017. It is located at 20 Reichert Drive on 30-acres of land and conveniently located just off the 401. For more information about Highview Residences, go to highviewres.com or e-mail info@highviewres.com today. Back in 1990, when Dr. Francis Jean assembled a group of Optometrists under the IRIS brand, even he couldn’t predict how successful his quest to improve the vision health standards of Canadians would become. 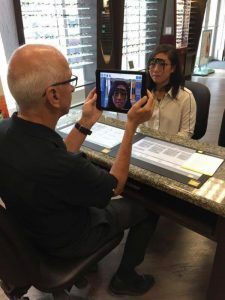 Today, over a quarter century later, more than 600 Optometrists, Opticians and Ophthalmologists at over 150 IRIS locations across the country are providing Canadian families with much more than optical prescriptions, new glasses and contact lenses. Dr. Angle and his team of specialists gather a great deal of information to better understand the needs and wants of their clients. Then, they learn about their clients’ eyes by using advanced technology and the latest in eye care techniques. Testing can include everything from imaging the back of the eye to mapping the function of the optic nerve and checking eye pressure. They combine test data with lifestyle information to create an algorithm that is unique to each and every client. Based on all of this information the IRIS team provides their clients with a range of corrective options to choose from to not only improve their sight but to enhance their well being. IRIS works with Nikon, who is known worldwide for imaging products and microscope solutions, to offer a wide range of ophthalmic lenses that can be customized to their client’s needs. Once a lens and frame are selected, precise measurements are required to design personalized lenses that can help their clients see better. There are many elements to consider: face shape, placement and proportion of features, alignment and positioning of each eye to ensure that the glasses will fit and work effectively. For issues like dry eyes, which can impede optical performance, PRN (Physician Recommended Nutraceuticals) supplements can be worked into their overall eye care plan. IRIS also offers solutions to blue light exposure for adults and children, including an exclusive non prescription lends from TrueBlue. When it comes to fashion and that personal “look” a client is searching for, IRIS offers a wide range of top brand name eyewear. This incldues trendy Oakley and Michael Kors, elegant Vera Wang, Canadian designed Klick and FYSH, New York’s edgy Seraphin and many more. Contact lens options range from the convenience of daily disposals to specialty orthokeratology lenses that are worn at night for corrected vision during the day. IRIS Optometrists and Opticians in UpTown Waterloo work with children at an early age to help prevent nearsightedness and encourage stable eye health through such methods as orthokeratology and blue light protection. They also assist seniors with visual impairments to enjoy a fuller lifestyle through such visual aids such as telescopes, illuminated maginifying glasses, and prisms. From advanced testing to custom fitting to individual optical solutions, everything is accomplished under one roof – all part of the IRIS advantage. There are also special ADVANTAGE OFFERS for members of the Greater KW Chamber of Commerce. 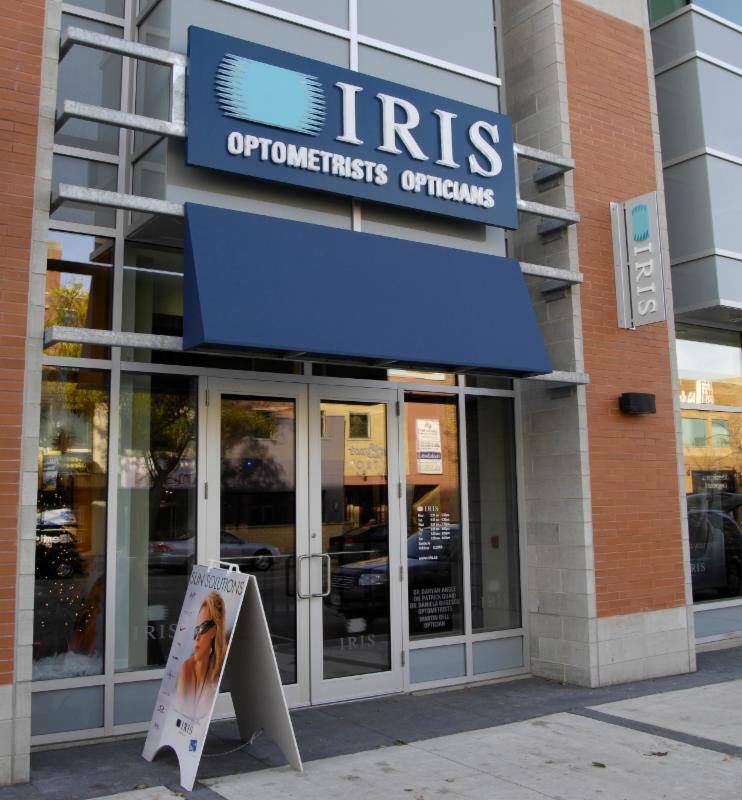 You are invited to experience all of the benefits IRIS offers along with exclusive savings on eyeglasses, sunglasses and more for your entire family. Go to iris.ca/benefits to learn more. Register by selecting Kitchener Waterloo Chamber of Commerce from the drop down menu. 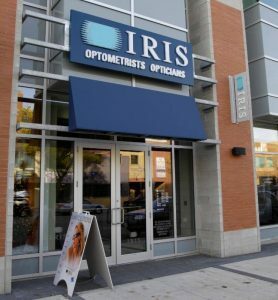 For an appointment or more information, you can contact IRIS by calling 519-725-3927, drop by to see them in UpTown Waterloo at #108-95 King Street South, or go to iris.ca. Before establishing a Kitchener office at the Communitech Hub, attorneys at the U.S. law firm of Phillips Lytle LLP were often asked the question “What do we need to know if we are contemplating expansion into the U.S.?” The firm has a long history of assisting Canadian start-ups and companies interested in doing business across the border. 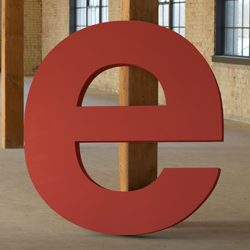 It was a natural progression for the firm to establish a presence in the Waterloo Region. Today, Phillips Lytle Special Counsel Jon P. Yormick and a team of over 20 U.S.-based attorneys rotate in and out of the Communitech office on a regular basis in accordance with client needs. Phillips Lytle works with its Canadian clients in the Waterloo Region and their Canadian lawyers on wide-ranging cross-border issues from tax implications, corporate formation, labour and employment, intellectual property, and data privacy and security to business immigration, customs, international trade, export controls and sanctions, aerospace and defence, government procurement and contracting, franchising, foreign direct investment, and venture capital. In the area of export controls and sanctions, the firm provides guidance to its clients to prevent them from unwittingly breaking U.S. laws. The attorneys also work with companies to ensure they are in compliance with NAFTA, the Buy American Act, as well as U.S. antidumping lawns. Backed by extensive legal experience in general manufacturing, the food industry, telecommunications, renewable energy, and unmanned aerial vehicles (UAVs), they look forward to expanding their client base in the Waterloo Region. Phillips Lytle’s local involvement includes membership in the Greater Kitchener Waterloo Chamber of Commerce, speaking engagements at the Waterloo Region Law Association regarding U.S. Customs, and ongoing involvement with Communitech. The firm also makes yearly charitable contributions to area nonprofits such as the House of Friendship and Kitchener Waterloo Out of the Cold. In 2016, Phillips Lytle was recognized by the BTI Consulting Group for Law Firms with the Most Clientopia® Relationships. BTI defines Clientopia® as the “ideal state of a client relationship”. “The Phillips Lytle Way” communicates the firm’s focus on superior client service at the center of its culture and business strategy. Some of the firm’s other recent recognition includes Chambers USA: America’s Leading Lawyers for Business – ranked for Environmental Law; Business Litigation; and Mergers & Acquisitions. Corporate Counsel magazine recognized Phillips Lytle as a Go-To Law Firm for its legal work on behalf of six FORTUNE 500 U.S. companies. The Best Lawyers in America® 2017 by U.S. News & World Report, lists five lawyers as “Lawyer of the Year” in their legal disciplines. 2017 U.S. News – Best Lawyers® “Best Law Firms,” ranked Phillips Lytle as a National First-Tier firm for its Mass Tort Litigation/Class Actions – Defendants practice. Phillips Lytle is among the top 15% of all national law firms for Commercial Litigation as named in the BTI Litigation Outlook 2017. For more information on how your busienss or clients can benefit from Phillips Lytle’s vast legal experience in the U.S. market, contact Jon P. Yormick, Special Counsel, Buffalo, Canada, Rochester, at (716) 847-7006 or email jyormick@phillipslytle.com. “We wanted to find a way to take our professional experience and use what we’ve learned to give back to our community in a significant way,” says Simon Fallows of himself and his Grappleworks Ltd. co-founder Jeff MacIntyre. Grappleworks helps charities raise funds, drive awareness, and connect with current and future donors. But Fallows and MacIntyre weren’t content to follow well-beaten paths. When they approached Grand River Hospital Foundation about partnering with Grappleworks to Screw Cancer, they sought to bring something innovative, edgy, professional, and collaborative to the table. Please contact Jeff MacIntyre at jeffm@grappleworks.com or 519-616-3553, Simon Fallows at simonf@grappleworks.com or 226-988-3434, or Tracey Bailey at tracey.bailey@grhosp.on.ca to learn more. The result was ScrewCancer™ and a simple everyday tool with the potential to drive massive change: a screwdriver. Working with former BlackBerry industrial designer Joseph Hofer, Grappleworks designed the screwdriver to revolutionize a common household object into a powerful tool to raise much needed funds for cancer programs not just Nationally but in our local communities as well. . The impact of ScrewCancer™ locally is significant, imagine if every business owner in Waterloo Region purchased this innovative Screwdriver for the office, for their staff or as client gifts. Not only would they have a useful tool around the office but collectively One Million Dollars would be raised. A locally designed screwdriver – it’s like nothing you’ve seen before. Since 2003, the Bereskin & Parr office here in the Region of Waterloo has established itself as the area’s largest Intellectual Property (IP) firm. In fact, they are the only IP specialty firm in the Region. Strictly speaking, that’s all they do. Proudly protecting clients’ IP assets for more than 50 years, their stellar reputation extends throughout Bereskin & Parr’s four offices which include Waterloo, Toronto, Mississauga, and Montreal. With more than 70 lawyers and patent/trademark agents, the firm is considered to be among the best IP firms in Canada, with dedicated expertise in trademarks, patents and litigation. Here in the Region, partners Tim Sinnott and Jason Hynes are much more than lawyers. Sinnott has his Bachelor and Masters in Physics while Hynes has his Bachelor of Applied Science in Mechanical Engineering. While Sinnott works on patents and trademarks, Hynes focuses mainly on patents, from prosecution through to litigation. Their involvement in the community includes Sinnott’s long-time membership in the Christian Legal Fellowship as an executive on the board of directors, and Hynes’s role as Chair of the Trade and IP Policy Committee for the Intellectual Property Institute of Canada. The other four lawyers in the firm are James Hinton, a mechanical engineer and trustee with the Waterloo Law Association, Maria Wei, an electrical engineer, David Morrison, a chemical and biomedical engineer, and Elizabeth Afolabi, a trademark specialist. This hybrid combination of legal and technical expertise provides a unique understanding and insight into their clients’ business that sets Bereskin & Parr apart from other firms in the Region. The team also routinely draw on other technical experts from the firm’s other offices. From ideas and inventions to product launches, Bereskin & Parr’s clients range from large corporations and manufacturers to local start-ups in the ever growing high tech sector. With an eye to the future, a Bereskin & Parr lawyer is onsite once a week at Communitech as part of the ProSquad, a group of professionals who are on hand to answer questions and provide direction to start-ups and SMEs. For those businesses interested in learning more about the many facets of intellectual property law, Bereskin and Parr will be conducting a breakfast seminar for businesses in the Region on Wednesday April 19 at Whistle Bear Golf Club. Topics will range from software patents to trademarks, identifying IP needs, and tools that are available for businesses to better understand and protect their IP. An idea scribbled on a cocktail napkin; that is the humble beginning of Save Local Now (SLN). Born in the quaint village of Chagrin Falls, OH, SLN understands the value of connecting communities and building local economies. While serving as President of his local merchant’s association, Keith Latore (SLN’s Founder) identified the challenges small businesses face when it comes to digital marketing, and then set out to build the solution. “A light bulb went off,” Latore said. “The traditional stuff had been done—They exist and are successful. The digital space is where businesses need the most help, and they need it to be easy, fast and cost-effective.” That’s Save Local Now in a nutshell; they level the digital playing field by empowering local businesses to better connect with local consumers through an easy to use, mobile friendly, integrated digital platform. What distinguishes Save Local Now from other platforms is its simplicity. Most small businesses do not have the time, resources, or knowledge to effectively digitally market themselves, so SLN’s platform allows them to manage it all from one place. The platform helps small businesses expand their customer base without the cost, complexity and time commitment of coordinating content across multiple platforms. With SLN, users can log-in, update their business information and create unlimited content in just a few minutes, then push what they create to the most popular social media platforms in one click. SLN offers content creation, social media sharing, email marketing, and complimentary SEO (Search Engine Optimization) at no cost to Chamber Members. Orlando Lopez, a Save Local Now user, explains “I have tried other email marketing systems and find that SLNs is the simplest of all. It doesn’t matter what business you are in. You can create online promotions and email marketing campaigns as well gauge your results”. SLN provides easy to understand analytics that shows every business what’s working, and what’s not, all in real-time. In this day and age, managing a small business’ digital footprint is vitally important, both to better connect with existing customers and attract new ones. 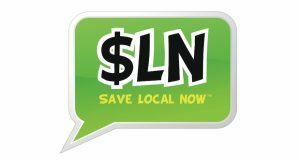 Another SLN user, Darla, commented “Save Local Now has really increased my visibility online. I spend 5, maybe 10 minutes every other day updating information and I’m noticing that I’m always on the first page of Google”. Since 2012, Save Local Now has grown to work with over 80,000 businesses in the U.S. and Canada. Watch this video to see how Save Local Now can help your business grow. Ready to start using the platform? Contact the Greater Kitchener Waterloo Chamber of Commerce to claim your business and get started! Learn more about SLN here! If it takes 10,000 hours to become an expert in almost anything, then what does 90 years in the business of auto sales and service make you? Pretty darn knowledgable, we’d say! Gascho Automotive is a 3rd generation family business that has been a landmark in downtown Kitchener for 90 years, starting way back in 1923 (first as The Brunswick Garage, then Gascho Motors in 1926). Back then the city’s population was 28,000 and there were very few cars on the roads. There were no traffic lights and parking restrictions were non-existent. Founder Emanuel Gascho actually had to teach many of his early customers how to drive the cars that he sold them, so from the very start, sales AND service were what made Gascho Automotive a thriving business in the region. Flash forward 90 years to a new light rail transit being built and a population of over 235,000. Dave Gascho is now the third generation of the Gascho family to run the business, having purchased it from his father Carl and uncle Roy in 1991. Generation after generation, decade after decade, the Gascho’s attributed their success to personalized service, repeat customers, and teachings from their father on the basics of community, honesty, integrity and relationships. Dave continues his grandfather’s tradition today, to which his many long time customers serve as a testament. Today, Gascho provides both pre-owned and new automotive sales (yes, you can indeed buy a new car, almost any make, at Gascho), regular and specialty service, and leasing. Dave works hard to ensure he is able to find his customers exactly the vehicle they want, and to make the loan and leasing process as easy as possible. 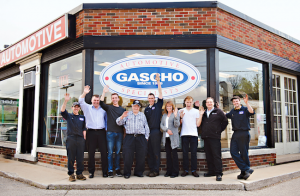 2016 not only marks a momentous 90 years in business, but also sees Gascho Automotive moving out of the downtown core to 353 Manitou Dr. in Kitchener, taking on a larger space, with easier access. To celebrate 90 years in business and to celebrate their great customers, Gascho Automotive is hosting an open house and customer appreciation party on Thursday, Sept 15, from 4 – 7pm. This free event is open to everyone, so come down and meet Dave and his team, tour the new facility, and enjoy some free food and enter to win some great prizes. 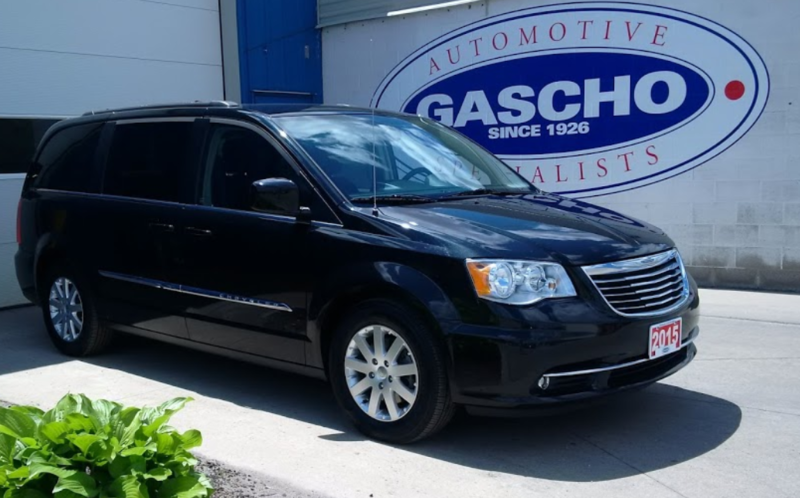 Visit Gascho Automotive’s website for more information, or call Dave anytime to talk about a new or pre-owned vehicle, or to book a service appointment. His helpful and friendly staff will be sure to take good care of you. PROFITABLE MARKETING: IT SHOULDN’T BE REVOLUTIONARY, RIGHT? It seems obvious: don’t invest in marketing that costs you more than the profit it generates, but the reality is that most businesses cannot accurately gauge the effectiveness of their marketing tactics. Usually because they haven’t needed to, they don’t know how or they’re just too busy taking care of business.Unfortunately, the lack of tracking leaves you open to a high probability of wasted dollars and a lot of “crossing your fingers” as you hope for more sales. These days that’s all unnecessary. There are many modern tools available for accurate tracking of leads & sales, you just have to demand it from your marketing/ad agency. echosims is a local digital marketing company that builds sales-focused websites and online marketing campaigns for B2B and B2C customers with a huge emphasis on performance tracking and optimization. Take Adwords for example, those ads on the Google search results page. They are great for most businesses because you’re advertising to people searching for what you offer and only paying if they click on your ad. “But clicks don’t mean sales” says Jeff Horst of echosims. “and sales are what really matters.” Yet most Adwords sales pitches still focus on the number of clicks and cost per click with no attention to the number of leads or sales those clicks generate. For the Hogg campaign, instead of cheap clicks, echosims focused on what the hottest buyers were searching for (often the more expensive clicks) then made sure that they did a really great job of turning those clicks into leads. They even tested buying cheap clicks to prove how unprofitable they were. The end result is more consistently, profitable campaigns and a lot less crossing your fingers. Both of which are good for business. echosims was founded just over five years ago by Jeff Horst and Matt Martin, two local boys with Mennonite heritage and a strong passion for helping local businesses flourish. They have been successful at growing a talented team that, like them, is very big on transparency, realistic expectations and having fun with their clients. “You don’t have to go to Toronto anymore to get great marketing,” says Jeff, “there’s plenty of great companies right here in town.” And it sounds like he’s right. When it comes to a business open house, no one can set the pace quite like Grand River Raceway. Where else can you put a harness race horse through its paces as you travel around the track in the company of a professional driver? Twelve sales reps actually did just that as a team building event and now you can try it out for yourself. It’s just one of the many extraordinary things that the staff at the award-winning Grand River Raceway has arranged for its clients. From digging a 15-foot hole for a weekend workshop to preparing 450 bagged lunches for a conference, they really do go the distance to ensure your corporate event, conference, meeting, or party is a huge success. 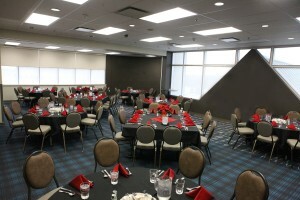 You can see for yourself on Wednesday, May 18th between 3pm to 7pm when Grand River Raceway’s Meetings & Events Services opens its doors to businesses who are looking for a unique and inspirational venue to host their next meeting, big extravaganza or team building event. Once you’ve pre-registered online from your office, you’re off to the races and a business open house like nothing you’ve ever experienced. On arrival, check-in at the Guest Care Counter to begin your tour of the facility. Each of Grand River Raceway’s newly renovated rooms will showcase different samples from the catering menus. Then, between 4pm and 7pm, head down to the track in your closed-toe shoes for your race horse ride. Whether you win, place, or show, everyone receives $10 to play the slots as well as exclusive offers and a chance to win prizes. Grand River Raceway is located in gorgeous Elora — just far enough to get your head out of the office and into the game. Make sure you get on the card by getting your RSVP in by May 13. This move-in ready space, is located above the stores of a strip mall at the corner of Ottawa Street South and Westmount Road East in Kitchener. On function and layout, MacIntyre says, “If you want privacy, I’ve got it. If you need communal space you can get that too.” The co-working office includes a reception area, common rooms, a kitchen and three conference rooms with all the digital amenities you need for the modern meeting, including 100 MB fibre internet. No business contract is required for the internet services and utilities, as they, as well as an office cleaning service are part of the total cost. MacIntyre explains that there are tailored layout options configured to suit the specific needs and employee count of the residing businesses. “Any kind of configuration could accommodate all types of area business,” says MacIntyre, “It could be tech, real estate, an accountant or lawyer. It’s perfect for non-profit groups.” MacIntyre describes a possible co-working space layout to demonstrate the variety of ways the Voisin Tech Suites space can be adapted to different needs. “Hypothetically, the configuration could include five people in suite A; in Suite B there could be twelve people; one freelancer could be in a private office; and there’s another area where there could be six employees and a management office.” The largest board rooms seat twelve people comfortably; two smaller board rooms have the capacity to fit six and four people. A unique feature of Voisin Tech Suites is its functional office furniture show room. Jeff MacIntyre teamed up with McGowan Office Interiors, Group Lacasse, and Mohawk Flooring to showcase the office furniture clients are using in their co-working spaces. Periodically representatives from the furniture and flooring companies show potential clients how the furniture functions practically and aesthetically in a real office setting. The showroom has also become a space for networking with other businesses. Thirty years ago, Gowlings was a respected local law firm in the Region of Waterloo, with legal roots in the area dating back to 1887. Today, it’s the largest private law firm in the region and the first Canadian co-led international law firm. As a result of its combination with the United Kingdom’s Wragge Lawrence Graham & Co (WLG) in February of this year, Gowling WLG is now in 10 countries, with offices in London, Paris, Monaco, Brussels, Dubai, Munich, Moscow, Singapore, Beijing, Guangzho, and of course, across Canada. Here in its own backyard, Gowling WLG credits its success to its diverse clientele, which primarily comprises privately owned owner/operator companies. The legal firm represents and has built lasting relationships with many of these companies through all stages of their business growth. In fact, Gowling WLG works with businesses of all size – from tech startups to established corporate entities. With a staff of 115, including 43 lawyers, Gowling WLG‘s office in Waterloo Region services clients across Southwestern Ontario and beyond. Consisting of specialists in all areas of law, the firm’s legal team offers a full range of services, with a strong focus on advocacy (employment & labour, commercial litigation, municipal), intellectual property (patents, trademarks, copyrights), and corporate (commercial, M&A, real estate, banking, insurance, private wealth). Gowling WLG‘s clients benefit from the firm’s access to a national, and now global, platform. Recently, a client who was looking to build their business wished to make a connection with a company in Germany. By networking with Gowling WLG‘s offices in Europe, the firm was able to arrange the connection. It’s these types of opportunities that add even more value to the firm’s client relationships. This is especially important with increasing cross-border activity around the world and a heightened desire among businesses to reach a global market. Gowling WLG‘s international platform also positions the firm to advise companies outside the country on a range of matters with respect to setting up business in Waterloo Region. Outside of the office, Gowling WLG‘s team members volunteer with non-profit organizations, hospital boards, and arts, cultural and educational organizations – as well as with the local chamber of commerce. The firm’s active involvement in the Waterloo Region community is all part of its belief in giving back.